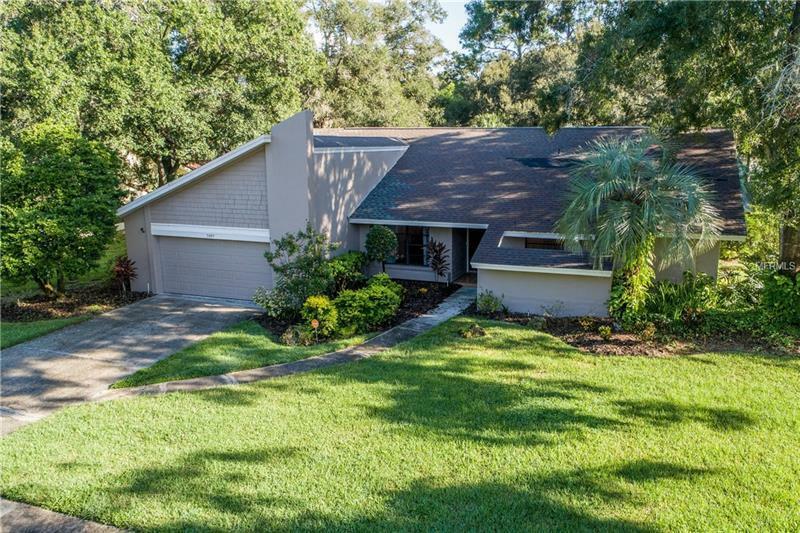 Are you looking for a BEAUTIFUL MOVE-IN READY POOL HOME IN THE HEART OF CARROLLWOOD VILLAGE that has been COMPLETELY REMODELLED? This 4 bedroom home is back on the market and will have a BRAND NEW ROOF and sits on over A 1/3 ACRE HOMESITE ON A CUL-DE-SAC STREET and features a FENCED REAR YARD. Upon entering the double entry doors, you will be greeted by a WONDERFUL VIEW of an OPEN FLOOR PLAN with GLEAMING WOOD FLOORS, A WET BAR to say welcome back & relax and views of the pool area and back yard via the TRIPLE SLIDING & POCKETING DOORS. Both you and your friends will be amazed at the QUALITY OF THE CUSTOM KITCHEN that looks like its right out of a BETTER HOMES & GARDEN MAGAZINE with loads of QUARTZ COUNTER SPACE, STUNNING WHITE CABINETS WITH SOFT CLOSE DRAWERS, STAINLESS STEEL APPLIANCES, RECESSED LIGHTING, BREAKFAST BAR AND MORE. The home features a 3-WAY SPLIT BEDROOM PLAN FOR PRIVACY. Please note: the 4TH BEDROOM FEATURES A ½ BATH and is currently used as an office. The MASTER BEDROOM IS OVERSIZED 15x16 with POCKETING SLIDERS to the pool area plus an EN-SUITE with HIS/HERS VANITY SINKS, SEAMLESS SHOWER ENCLOSURE AND A HUGE WALK IN CLOSET WITH CUSTOM DOORS AND ORGANIZERS. The SPARKLING RENOVATED POOL with NEWER GLASS TILE AND QUARTZ SURFACE plus the NEWER OUTDOOR KITCHEN WITH WET BAR make this a great home for entertaining or relaxing. THE ENTIRE HOME WAS REMODELED JUST OVER A YEAR AGO INCLUDING DESIGNER LIGHTING, PLUMBING FIXTURES, INTERIOR & EXTERIOR PAINT, A/C SYSTEM, EPOXY GARAGE FLOOR. A MUST SEE.